Lose of Control on Short Cut ... toward road..
SUJET : Lose of Control on Short Cut ... toward road..
MCR is rounding the corner exiting from board V6. The car is on the short cut (K4) and loses control. How far does the car leave its track? This would indicate the car has completely crossed the road. If the car is on the asphalt and this happened then the car would exit to the village. This is reasonable. The rules are clear on the re-entry at zone 3. Resist not the flow of life. 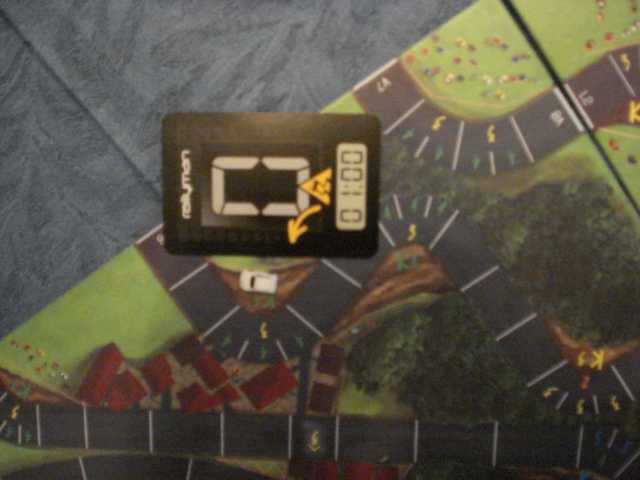 The rule says place the car on the adjoining surface. In the case of an inside right turn short cut with a lose of control to the left (as described) the surface is the asphalt. The damage chart does not indicate asphalt therefore damage does not occur. I don't see the picture : do you have it ? I would prefer to explain with it ! The file attached this time. You will note I believe I found the (an) answer. You put your car on asphalt, on "3" space, without damages. You are lucky !